Containing pure Moringa Oil, with its unique anti-ageing properties to dramatically renew skin's elasticity and youthfulness. Anti-Oxidants physically repair the visible signs of ageing and counteract the damaging effects of pollution, by sweeping clean your network of skin cells, ridding it of harmful toxins. 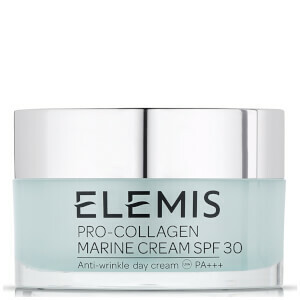 Use with Pro-Collagen Marine Cream for exceptional results. Repairs visible signs of ageing. Use one pink Rose capsule in the morning to stimulate micro circulation and vitality. Follow in the evening with one green Lavender capsule to repair the skin and encourage a peaceful nights sleep. These Cellular Recovery Capsules 60 caps are easy to use and fabulous. The Cellular Recovery Capsules solved the dryness and tightness caused by the winter as well as the harsher conditions of heating inside and the cold outside. They add an extra comfort factor which I cannot live without now. worth scraping the cash together for! These are great. I feel like they really nourish my skin and leave it in better condition after a week or so. They smell good too. I have combination skin but the oil doesn't make me break out or leave my t-zone oilier. (I don't always use them alongside other elemis products). I can't rate it against other facial oils other than to say the individual tabs make it easy to know how much to use. It's a bit pricey but felt like i got a good price here. I'd definitely recommend trying them-especially if you spy money off!